We unite community resources to address our community's greatest needs. Our staff, volunteers, donors, and agency partners create lasting, sustainable changes that transform lives and build a thriving community for us all. We work with a dedicated group of volunteers and Campaign Coordinators who lead their companies and organizations to raise more than $3.5 million in contributions each year. We do the due diligence that individual donors don’t always have the time, resources, or knowledge to do. Local people volunteer their time to vet all of the nonprofits we fund in the areas of quality programming, governance, finance, and sustainability. We empower people to unite and solve complex problems here in the Tri Cities. Our fundraising campaign dollars are allocated to address the immediate basic needs of local families and strategically solve systemic barriers to education, financial stability, and health. 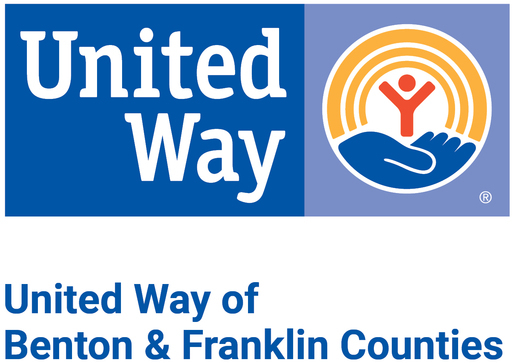 Through 24 local agency partners and 39 programs, our funding helps 1 in 4 people in the Tri Cities every year. Our internal programs help kids succeed in school, and bring tax dollars back to our community. Emergency Food and Shelter Program (EFSP) is a federally-funded program that supports emergency shelter, food, and other services for families experiencing economic crises. We facilitate the distribution of these federal tax dollars back to our local community. In 2018, we distributed over $164,000 from EFSP to local food banks and crisis intervention centers. Birth 2 Five educates the community about the critical first five years in a child's life. With grant funding from the Bill and Melinda Gates Foundation, we make strategic investments in local agencies that help parents become their child's first and best teachers. Today, only 40% of local kids are ready to learn when they get to kindergarten. Our goal is that all local kids will be ready for kindergarten. Attendance Matters educates the community about regular school attendance to help kids graduate high school. We help local schools organize effective reward programs to increase attendance rates. With grant funding from the Bill and Melinda Gates Foundation, we make strategic investments in local agencies that address the root causes of absenteeism, including food and adult mentorships for kids living in poverty.